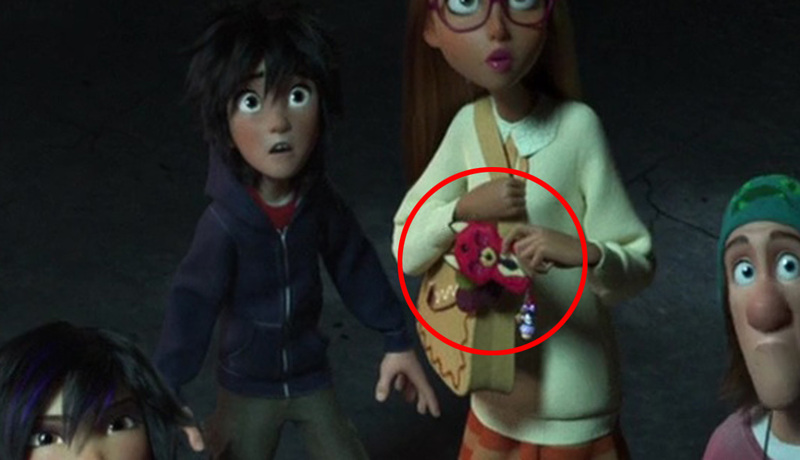 Very briefly in Hiro’s bedroom you can see a trashcan that references Mike Wawzowski from Monsters, Inc.
A picture of Mochi the cat dressed as Stitch can be seen in Hiro’s house. Nick Wilde from Zootopia can be seen very briefly during the movie. 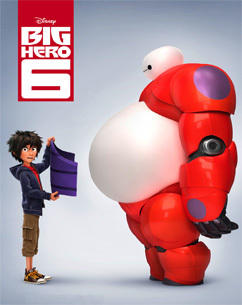 Hidden throughout Big Hero 6 there are multiple appearances of characters from the movie Frozen.